In case it has not been mentioned before, it should be now. This reviewer is not a fan of growling, at least not as a solitary vocal, the idea of the voice as an instrument is a long and exasperating discussion, not to be had now. Suffice it to say, it is not my thing. 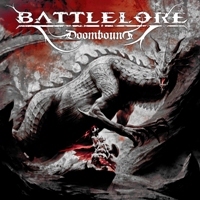 That being said, I really like this album by Battlelore. more than I have any of their previous work. The music is epic and has that "big" feel to it, it's all very well executed and the growly vocals of front man Tomi Mykkänen are offset by the ethereal singing of Kaisa Jouhki to great effect. so, yeah it's pretty damn good, color me converted.